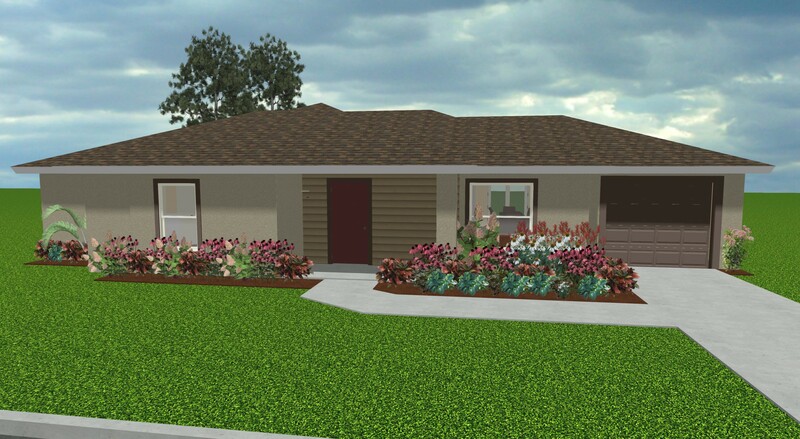 The Bunting is a three bedroom, two bathroom home with 1,321 square feet of living space. This home features a one car garage or carport option, and has a country front porch entry. From the garage, enter into the spacious great room. The kitchen features a full-height pantry cabinet, granite counter tops, and hardwood cabinetry, as well as an island with bar seating. 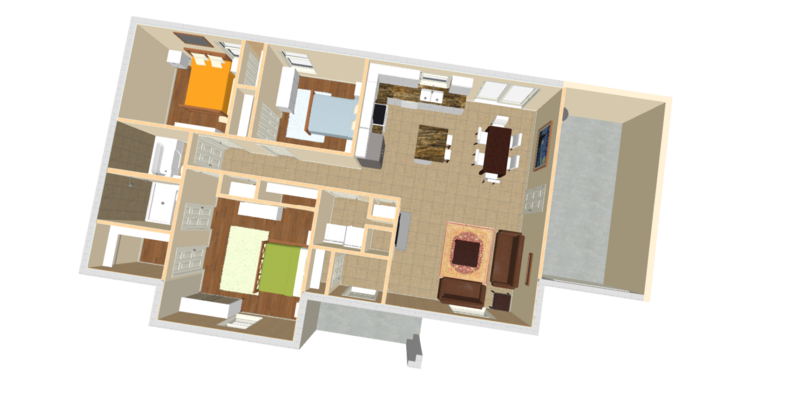 The master bedroom comfortable fits a king size bed and includes an ensuite bathroom and dual closets.